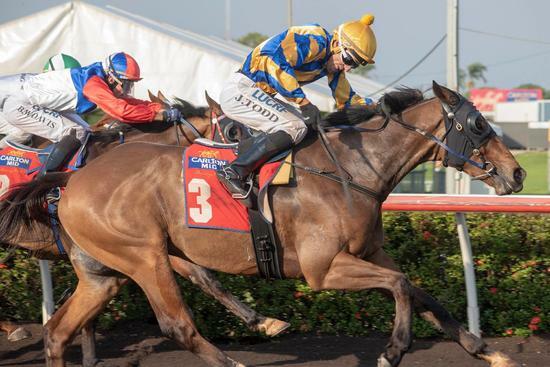 Day 6 of the carnival saw the gutsy 7yo gelding Pot Black salute in the feature race on the day, the Darwin Corporate Park Cup. This victory made it 4 consecutive years that this tough competitor has won during the Darwin Carnival. Congratulations to the team and all of his loyal owners.